Visit us on Saturday, September 5th before the First Saturday Art Crawls from 4-6pm. Our gallery will be full of select pieces of our studio artists’ work. Show runs thru September 26th. 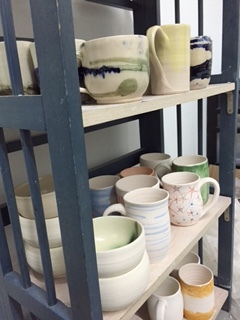 Be sure to check out Anna’s studio to see what she’s pulled out of the kiln! This entry was posted in Shows and tagged Anna Merrill, Art Crawl, GfG+S. Bookmark the permalink.